United States, California, Death Valley. 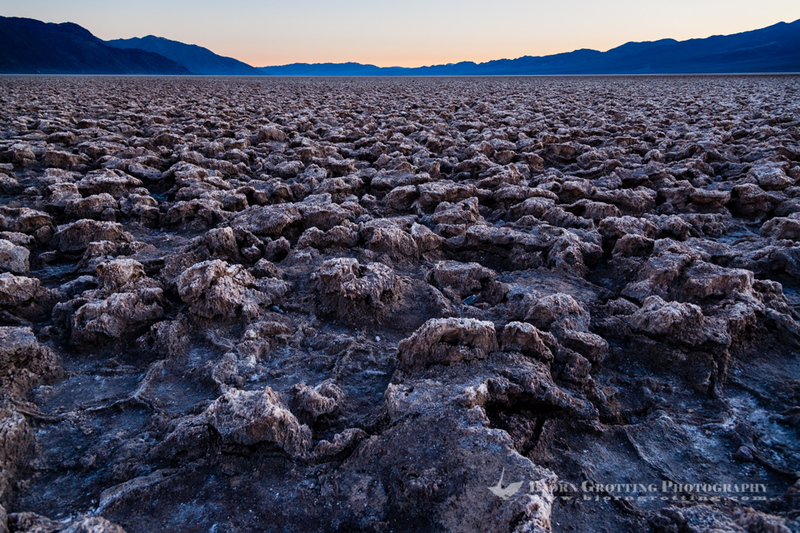 The Devil’s Golf Course is a large salt pan on the floor of Death Valley, with minerals left behind when the lake evaporated. Just after sunset.